This page contains answers to frequently asked questions. If you have questions not answered below, please send email to the Merit Badge Midway chairman. Please use the online payment link to pay $35 (per scout) via major credit cards (Visa or MasterCard). You may also PayPal $35 to troop2boyscouts@gmail.com after merit badge class selection. What time should I arrive for the Midway? 8:30am - we need some time to check everyone in before the sessions begin at 9:00am. Lunch is at noon. The afternoon sessions begin at 1:00pm. The event is all-day, what do I do for lunch? Lunch is included in the registration fee - we will be serving pizza (meat and vegetarian versions), salad, and drinks. There is also a short recess in the middle of the day when snacks can be purchased. What is the date of the Midway? Saturday, October 20, 2018 – 8:30am to 4:00pm. Where is the Merit Badge Midway? What if I continue to have registration problems? You may contact the Merit Badge Midway chairman at troop2midway@gmail.com. What should I wear to the Merit Badge Midway? A Scout is Loyal. As with all scouting activities, all scouts are expected to arrive in and wear their full field uniform (a.k.a. class A; scout hat, shirt, pants/shorts, neckerchief, belt, socks). What happens if I show up without my uniform? A Scout is Courteous. You will be asked to come back in uniform before you are checked in and allowed to proceed to your merit badge counselor. Do I need the merit badge pamphlet for my class? Be Prepared. Scouts should arrive with their pamphlet, read ahead of time, prerequisites (visible on this website) completed, and ready to participate. Do I need a "blue card"? Be Prepared. 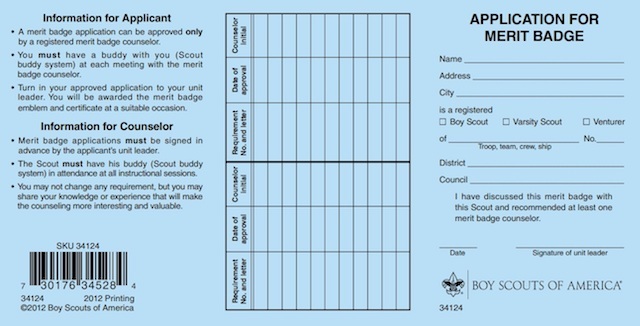 As with any merit badge activity outside of most summer camps, scouts should see their scoutmaster for a signed blue card for the merit badge prior to starting any new merit badge activities. 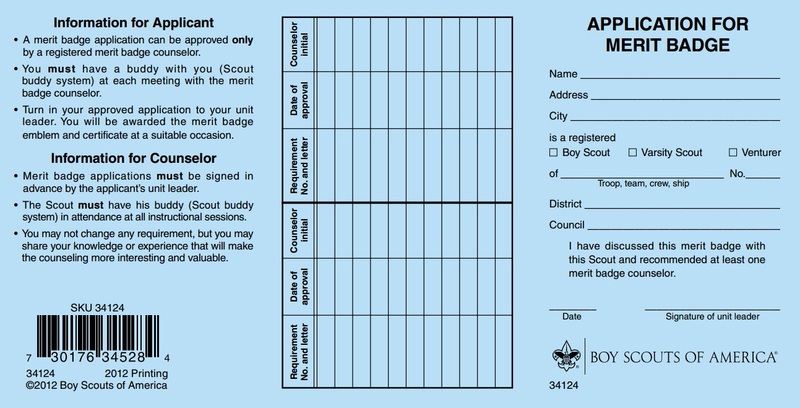 Can I get a blue card at the Troop 2 Merit Badge Midway? Be Prepared. It is a scoutmaster's privilege to meet with his/her scouts regarding their merit badge activities. A signed blue card from a scoutmaster is a symbol of their confidence in their scout that he is ready to begin these activities. It is unlikely that your scoutmaster will be available at our midway for such a meeting, so plan accordingly. I would like to attend Merit Badge Midway but I need financial assistance on the registration fee. What could I do? Please submit an email to Midway Chairperson indicating your circumstance. We will evaluate each financial assistance request on an individual basis. I need to cancel my registration. Can I get a full refund? Yes, full refunds may be issued for cancellation requests with a minimum of 72 hours (3 days) prior to the Midway. This lead time is needed for food, classroom, and other planning considerations. The 72-hour courtesy would also free up the cancelled spots and make them available to other interested scouts.